Should You Get the Hilton Card or ThankYou Premier for 75,000 Hilton Points? This 75k Hilton and 50k ThankYou Premier offers have expired. Click here for the top current credit card sign up bonuses. We are rolling in the huge sign up bonuses at the moment. The Citi® Hilton HHonors™ Visa Signature® Card with 75,000 bonus Hilton points after $2,000 in purchases within the first 3 months of account opening. 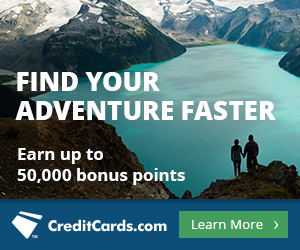 For most of the last few years, this no annual fee card has offered only 40,000 bonus points. The Citi ThankYou® Premier Card with 50,000 bonus ThankYou Points after $3,000 in purchases within the first 3 months of account opening. Until April of this year, you had to wait two years to get the full 50,000 bonus points. ThankYou Points transfer to 11 airline plus Hilton. All the airline transfers are 1:1, but the Hilton transfers are 1,000 ThankYou Points to 1,500 Hilton points. That means either card’s sign up bonus could be worth 75,000 Hilton points. So which card is better for you? 1,000 ThankYou Points transfers to 1,500 Hilton Points, so that’s really like 4.5x, 3x, and 1.5x if you plan on transferring to Hilton points. You will earn Hilton points faster on travel (other than at Hilton hotels), gas, restaurant, and entertainment purchases with a Citi ThankYou® Premier Card than with a Citi® Hilton HHonors™ Visa Signature® Card. That’s really the only reason to get the Citi ThankYou® Premier Card for Hilton points because everything else is stacked toward the Citi® Hilton HHonors™ Visa Signature® Card. The Citi® Hilton HHonors™ Visa Signature® Card has no annual fee ever. 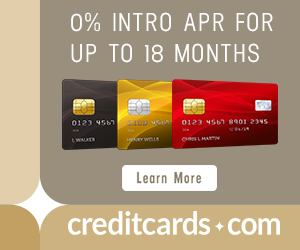 The Citi ThankYou® Premier Card has no fee for 12 months, and then $95 per year. The Citi® Hilton HHonors™ Visa Signature® Card comes with automatic Hilton Silver Status as long as you hold the card. The Citi® Hilton HHonors™ Visa Signature® Card offers 6x points on Hilton stays and at least 2x Hilton points on all purchases. The Citi ThankYou® Premier Card offers only 4.5x Hilton points on Hilton stays and only 1.5x Hilton points on all non-bonus purchases. But the main reason the Citi® Hilton HHonors™ Visa Signature® Card is the better card to get Hilton points is that you should save your Citi ThankYou® Premier Card and its ThankYou Points for more valuable purposes. I value ThankYou Points at 1.9 cents each and Hilton points at 0.4 cents each. I would much rather transfer my ThankYou Points to Singapore miles to book these awesome awards or use my ThankYou Points like cash to buy flights on 20 airlines with no blackouts at a rate of 1.6 cents each than transfer them to 1.5 Hilton points. Get the Citi® Hilton HHonors™ Visa Signature® Card for Hilton points and use 80,000 Hilton points for 20 free nights at these great hotels. Get the Citi ThankYou® Premier Card to transfer the ThankYou Points as needed among the 12 partners for high value awards. While the Citi® Hilton HHonors™ Visa Signature® Card offers 75,000 bonus Hilton points and the Citi ThankYou® Premier Card offers 50,000 bonus ThankYou Points that can transfer to 75,000 Hilton points, the two cards are very different. If you just want Hilton points, get the Citi® Hilton HHonors™ Visa Signature® Card. You’ll never pay an annual fee, and you’ll get Hilton status. Get the Citi ThankYou® Premier Card when you want to take full advantage of all of its transfer partners. If you want to get both, remember Citi’s application rules. You can get no more than one Citi card in a week and no more than two in two months. That means if you want three Citi cards, you should apply on Day 0, Day 8, and Day 65.